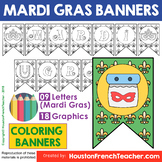 Mardi Gras Activities Coloring Banners Pennants Class Decor Activities Craft (9 letters banners for Mardi Gras, 16 banners for various Mardi Gras graphics/clip arts) It also include a blank template so students can choose to do their own drawings! 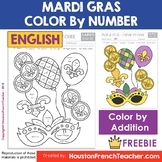 Ask HoustonFrenchTeacher a question. They will receive an automated email and will return to answer you as soon as possible. Please Login to ask your question. 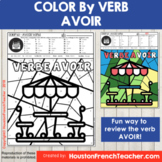 Before becoming a teacher, I was a graphic designer and IT consultant. I, finally, went back to my initial calling for a more fulfilling career to become a teacher so I can make a positive difference on the future of children. 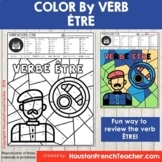 This is my fourth year teaching French and I absolutely love it! 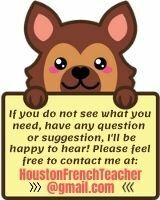 I am teaching 6th graders - Exploratory French, 7th graders - Level 1 High School Credit French and 8th Graders - Level 2 High School French. 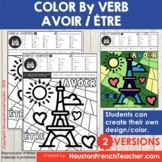 We have been using T'es Branché as our book but I love to create my own materials to supplement the book and make my middle schoolers stay engaged. I also teach 8th grade Math! 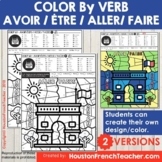 I am a French Native Speaker and have lived in Paris all my life. As I have a background in IT and design, I love creating my materials to be as interactive and fun as possible for the kids! 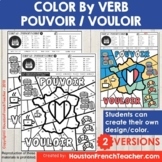 If I am bored teaching a lesson, I cannot imagine how my students would feel! 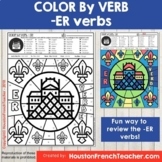 I believe in fun engaging lessons. 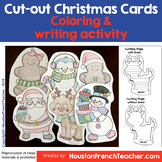 I love to incorporate games and interactive activities.